The Developers Workshop and the LDF tutorial put their hands together for this merged event: the Developers Hackshop! We present a full day mixed with interesting talks on development subjects, tutorials and an actual Hackathon. At the end of the day, we plan to see some real code. We still welcome subjects for our Hackathon: Submit your project now! 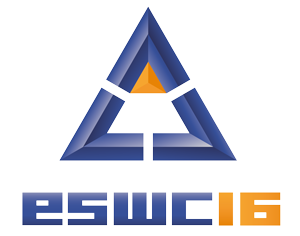 The ESWC2016 Developers Hackshop therefore provides a forum for SemWeb and Linked Data developers. This edition emphasizes Semantic Web application development. We aim to break the Semantic Web’s eternal chicken-and-egg problem by building cool applications that matter. Submit yours now! How to develop applications on top of Linked Data on the Web? How can browser applications influence the Semantic Web? What about mobile and native applications? How to do semantic development for a specific domain? How to create libraries for Linked Data technologies? create, discuss, and publish Semantic Web and Linked Data software, with a focus on those tools that foster adoption of these technologies. In other words, this hackshop is about how you made things work. It is about implementations, methods, techniques, about how you solved practical problems for Linked Data. Submit your development contribution now!